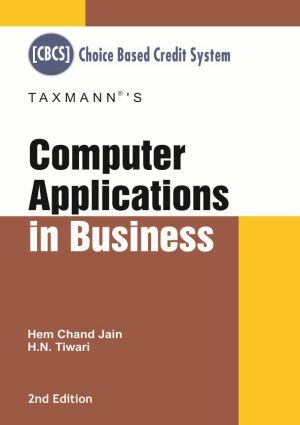 A comprehensive and authentic text book on“Computer Applications in Business” for B.Com (Hons):Three Year (6-Semester) CBCS Programme ofCentral Universities throughout India. The objective of the book is to impart computer skills and knowledge to commerce students and to enhance their understanding of information technology tools in handling the business operations. Provides indepth understanding of the computer concepts in student friendly manner. Diagrams and illustrations are given to enhance comprehension of various concepts and system of computers. A chapter has been added to illustrate applications of Excel in business. Summary and review questions at the end of each chapter for evaluating the understanding of the concept.